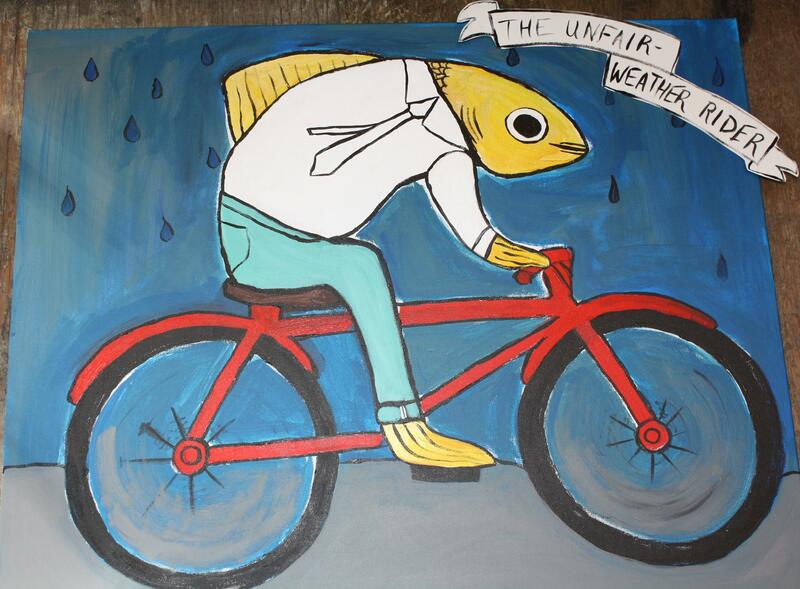 Delightful artwork "The unfair-weather rider" by dutil Vancouver staff member Talia Stopa. dutil denim Bike to Work promotion: WIN a Levi's Commuter package! Kick of Bike to Work month in style with dutil denim at 704 Queen Street West. Simply add dutil to your bike route between May 26 (Bike to Work Day) and June 1 and pick up a free Frog bike light in-store while supplies last. You could also win some sweet threads. Every in-store purchase made from May 26 - June 1 automatically enters you in our draw for a special Levi’s Commuter Series package! Please see the complete details about the contest here. The retail value of the Levi's commuter package (jeans and jacket) is over $250. Check out our recent Bike Spotting near the dutil shop. We asked: What's it like biking on Queen street? Stop by dutil denim at 704 Queen Street West during "Bike to Work Week" to pick up your free Frog light while supplies last! dandyhorse will also be giving lights during our special Queen West and Manning Bike Spotting session on Tuesday, May 20 at 4:30 p.m. dutil'll will be drawing the winner on June 2, and will announce it on their on our website. dandyhorse will post the name of the lucky winner too. The Levi's commuter package includes the Trucker Timberwolf hooded jacket and commuter jeans - more details here.